WE ALL revel in the rowdy crowd behaviour at the Waste Management Phoenix Open, where vast crowds turn up for four days, swill huge amounts of beer and hurl “friendly” abuse at the world’s best players who, in the main, take it all in good part. Players are routinely booed when they miss par threes and short putts. They are heckled if they miss fairways. They accept it because it is part and parcel of what the tournament is. Nobody should be surprised that crowds numbering more than 700,000 who gather over four days fuelled by alcohol push the boundaries of acceptable behaviour to the limit - and beyond. But we should be concerned about the fact that this behaviour is spreading - and that the authorities seem unwilling to do anything much about it. We have all grown used to shouts of “In the hole” and “You the man” that seem to accompany every single shot that is played on the PGA Tour. It is inane and it drives most of us to distraction, especially when somebody yells out “In the hole” as a player is driving on a 460-yard par four. It is not new, but the behaviour is becoming increasingly unruly and unacceptable and, worst of all, American galleries seem to carefully select their targets. Ian Poulter, a man who has dented so many American egos with his heroics at the Ryder Cup, is a frequent victim. He found himself at the centre of unwanted attention during the recent Players Championship after carding a 75 during the third round to fall out of contention. Poulter branded as “idiots” fans who verbally abused him throughout the third round at TPC Sawgrass. He added: “Oh well remember the good times” followed by multiple gold trophy emojis – presumably representing the European Ryder Cup winning teams he has been a part of. He also included the hashtags “#havesomerepect” and “#itsjustagame” before continuing: “It wouldn’t happen at Augusta. Sad when your playing partner apologises about the fans.” Poulter had been playing in the penultimate group alongside Jim Furyk, the captain of the US side for last year’s Ryder Cup at Le Golf National. You will remember that he played a key part in helping to defeat Furyk’s team. It is not the first time he has been singled out. The same thing happened to him during the US Open last year at Shinnecock Hills. 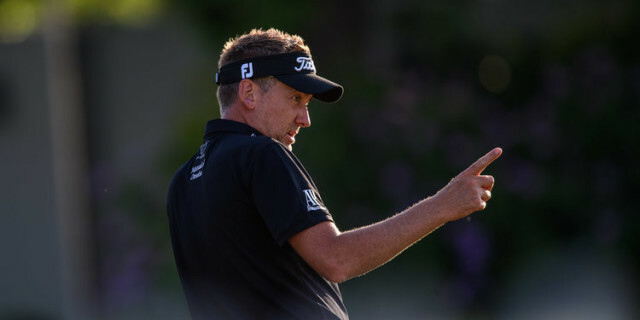 Male, American voices could be heard cursing at Poulter before and after shots and cheering when putts failed to drop. He did not respond out on the course and bit his tongue in his post-round chat with Sky Sports, but was not silent for long, hitting out later at both the hecklers and at the USGA. 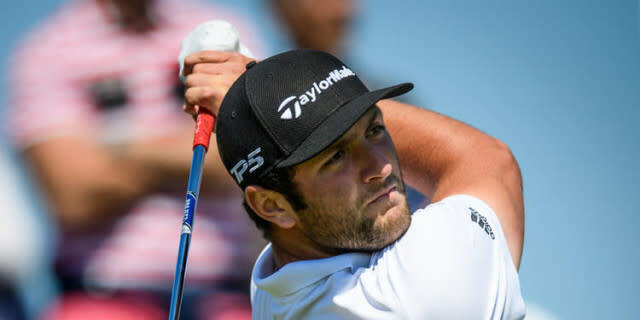 Jon Rahm was also subjected to abuse at Sawgrass, where a fan described him as a “s***”, simply because he had a poor round of golf. He later spoke to the press about how proud he was of the fact that he didn’t rise to the bait. But the whole point in all of this is that players should not be subjected to this sort of behaviour in the first place. The Players Championship is regarded as many as being golf's unofficial fifth major, the US Open IS a major. Have we reached the point in America where the PGA Tour needs to reconsider whether or not it sells alcohol at its tournaments? These events all employ stewards and security staff so why on earth aren’t offenders escorted from the premises? There should be no warnings, no second chances - if you verbally abuse a player then you should be shown the door immediately. Nobody who witnessed it will ever forget the treatment meted out to Colin Montgomerie during his singles match against the late, great Payne Stewart in the Ryder Cup at Medinah in 1999. The verbal abuse was so bad that Monty’s father actually walked off the course because he could not bear to listen to the way his son was being spoken to by so-called sports fans. And Stewart, to his eternal credit, challenged the galleries and eventually conceded his match to Montgomerie. And here we are, 20 years later, and, if anything, things are worse. These people have no place at golf tournaments. The time has come to act. Kick them out. And maybe we should even be encouraging the PGA Tour and the USGA to name them and shame them.